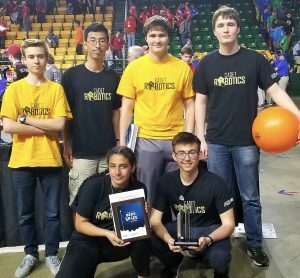 Frederick High School Robotics team captured the “Rookie All-Star Award” at Saturday’s Destination: Deep Space, Chesapeake District Championship held in Fairfax, Virginia at George Mason University. The team will now advance to the World FIRST Championships held in Detriot, Michigan from April 24th to the 27th. Destination: Deep Space is presented By The Boeing Company, is the FIRST Robotics Competition game for the 2019 season. It involves two alliances of three teams each, with each team controlling a robot and performing specific tasks on a field to score points. The game centers around an outer space theme involving two alliances consisting of three teams each competing to place poly-carbonate hatch covers and orange rubber balls or “cargo” on rockets and cargo ships before returning to their HAB platform to climb at the end of the match. 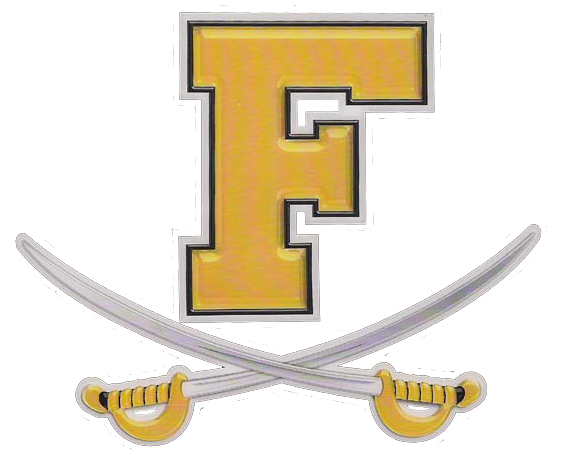 Frederick High’s team consists of programmers Alex Plisov, Nathan Pan, Zach Chan, and Mason Kershner. Jaxen Farrell and Bishoy Ibrahim – mechanical. Conner Daquino, Alvin Kolani, Kevin Whiten – electrical. Nicolas Farrell – fundraising. Along with Head Mentor Karine Ptak and mechanical mentor Eric Cullings. During presentation of their award it was noted that “This team displayed a distinctly non-rookie attitude in their approach to team building, with a creativity, ingenuity and self-assessment and sheer tenacity.” The judges went on to add that “This team impressed the judges with their inventiveness in fundraising, outreach, and commitment to promulgating FIRST principals.